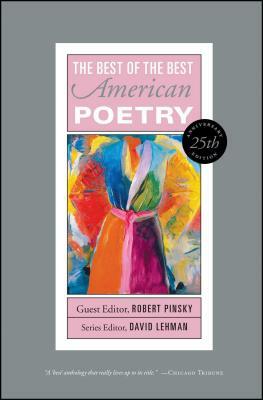 This special edition celebrates twenty-five years of the Best American Poetry series, which has become an institution. From its inception in 1988, it has been hotly debated, keenly monitored, ardently advocated (or denounced), and obsessively scrutinized. Each volume consists of seventy-five poems chosen by a major American poet acting as guest editor—from John Ashbery in 1988 to Mark Doty in 2012, with stops along the way for such poets as Charles Simic, A. R. Ammons, Louise Glück, Adrienne Rich, Billy Collins, Heather McHugh, and Kevin Young. Out of the 1,875 poems that have appeared in The Best American Poetry, here are 100 that Robert Pinsky, the distinguished poet and man of letters, has chosen for this milestone edition. Robert Pinsky was the nation’s Poet Laureate from 1997 to 2000. An acclaimed poet and scholar of poetry, he is also an internationally renowned man of letters. His Selected Poems was published in paperback in March 2012. His other books include The Sounds of Poetry: A Brief Guide and his bestselling translation The Inferno of Dante, which won the Los Angeles Times Book Award. He teaches at Boston University and is the poetry editor at Slate.